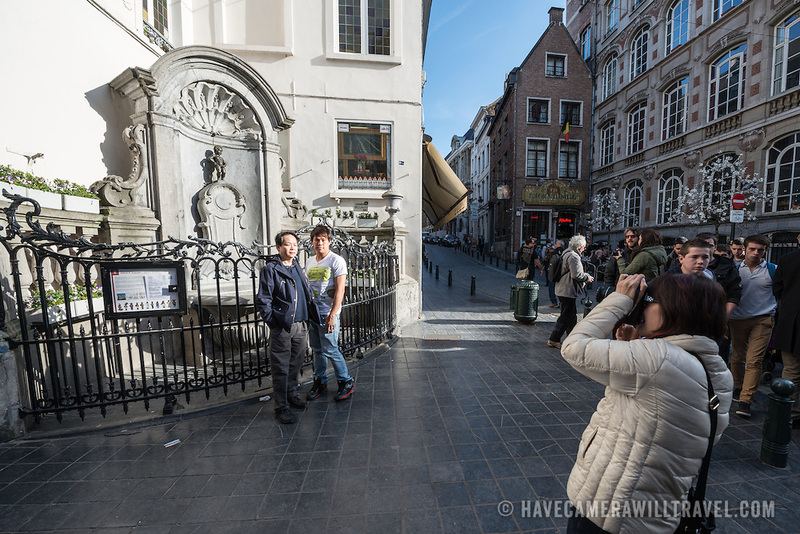 Tourists pose for photos on the street corner in front of the famous Mannekin Pis statue in central Brussels. The Mannekin Pis, a small bronze fountain sculpture of a naked little boy urinating into the fountain. Installed in about 1619 by Hiëronymus Duquesnoy the Elder, it is a cultural symbol of the city of Brussels and a famous tourism landmark.